Percentage of institutional deliveries are registered to be the highest in Tamil Nadu (96.6%), followed by Madhya Pradesh (63.3%), Assam (56.9%), Orissa (52.6%), Jharkhand (46.1%), Uttar Pradesh (45.8%) and Jammu & Kashmir (38 %). Almost all seven States have post natal count care by more than 65% of the lactating women except in Jammu & Kashmir, which has only 57 % utilisation of this facility. Almost similar percentages of lactating women have reported to be Janani Suraksha Yojana (JSY) beneficiaries. Utilization of family planning services, public or private, is highest in Assam (65.5 per cent) and least in Uttar Pradesh (42.3 %). The Accredited Social Health Activists (ASHAs) and auxiliary nurse midwives (ANMs) have a major role to play in motivating couples to adopt family planning methods. In case of utilisation of public vs. private health facilities for chronic disease treatment majority of the patients were utilising public health facilities in Tamil Nadu (94 %) and least in Uttar Pradesh (44.6 %). Poor utilisation of public health facilities in Uttar Pradesh, Madhya Pradesh and Jharkhand shows problems of both access and quality of basic health care. In physical infrastructure per 1 lakh population with respect to Primary Health Centres, Community Health Centres, and First Reference Units, Jammu and Kashmir is far ahead of Tamil Nadu and the other States. Awareness about ASHA scheme was much higher than NRHM and the source of knowledge about these initiatives is principally ASHA/ANM and not print or electronic media. ASHAs were reported to be carrying kits and involved in counselling over sanitation and hygienic practices as well as distribution of common medicines. 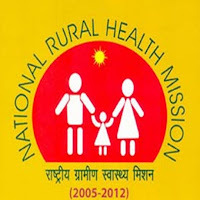 Its role was quite significant in spreading awareness about the key health care initiatives of NRHM to enhance utilisation of obstetric and child care. The study suggests consolidation of ASHAs scheme by mentoring and retraining and inclusion of dispensing vaccinations to further boost antenatal and child care. Despite significant efforts in mainstreaming AYUSH, only 0.5% of patients with chronic disease had opted for treatment under AYUSH with Ayurveda being more popular than other traditional streams.